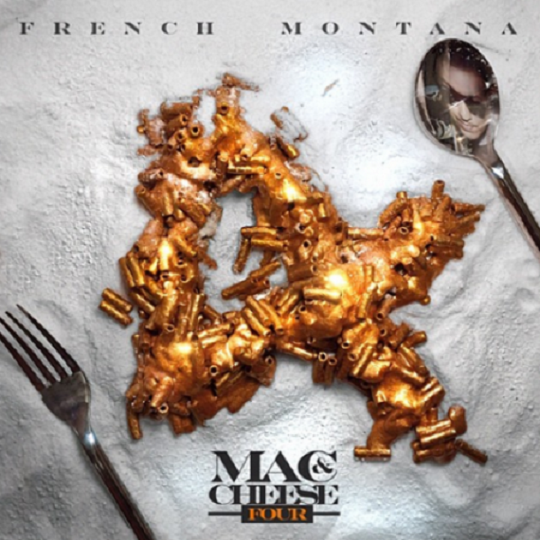 French Montana is busy in the studio as he gears up to release his new mixtape, Mac & Cheese 4. As fans anxiously wait for the rappers latest offering to hit the net, Frenchie decides to turn the anticipation up by unveiling the project’s official artwork. Montana takes the arts and crafts route as the cover features a pile of gold colored macaroni molded into the shape of a number four that sits on top of a pile of cocaine. The Bad Boy artist also shows up on the cover in the form of a reflection in a spoon that sits besides the macaroni along with a fork. No telling when fans will be able to ride the coke wave as there is still no release date that’s been announced. This entry was posted in Artwork and tagged artwork, coke boys, French Montana, hip hop, mac & cheese 4, mixtape, rap. Bookmark the permalink.